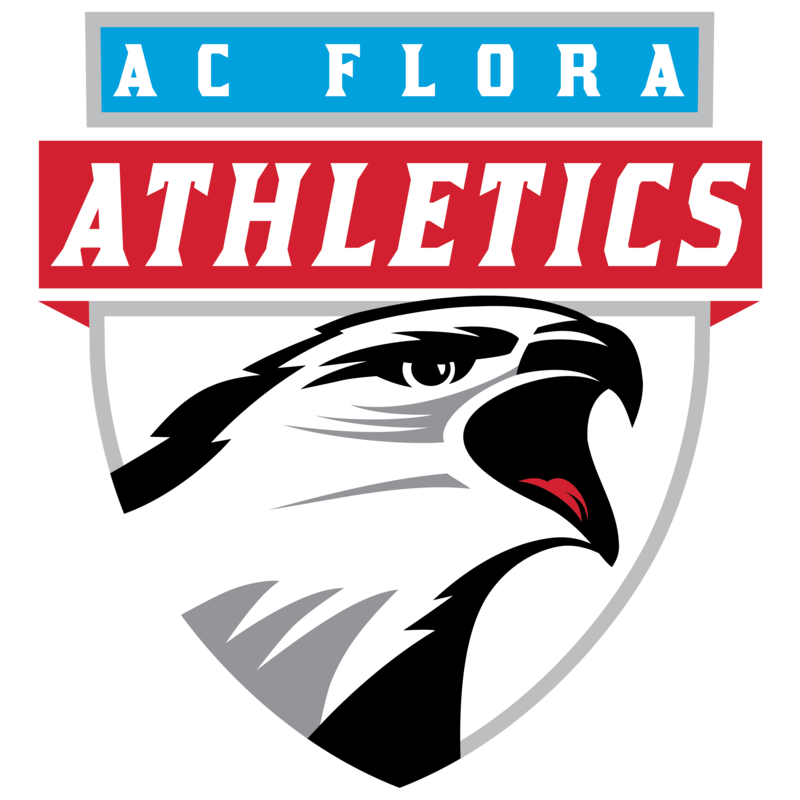 Your AC Flora Falcons greeted the Christ Church Cavaliers (C3) to our firmly entrenched, home away from home: the OC (Eau Claire). This was a Tuesday early evening edition of a rained-out Monday between these strong teams. Playing Lacrosse in the daylight has been a challenge at times for Your Falcons this season; tonight would be different. Firmly entrenched in my front row seat before a 26 inch computer screen in a remote location with the soulful sounds of DJ Rhodes describing the action was as close to live action as it gets. Again, many thanks to Geoff Rhodes who is the name behind the voice and the technological wizardry telecasting live all the Flora Lacrosse games to the world. A beautiful, sunny early evening was on hand as the visiting home team welcomed the visitors from Greenville. 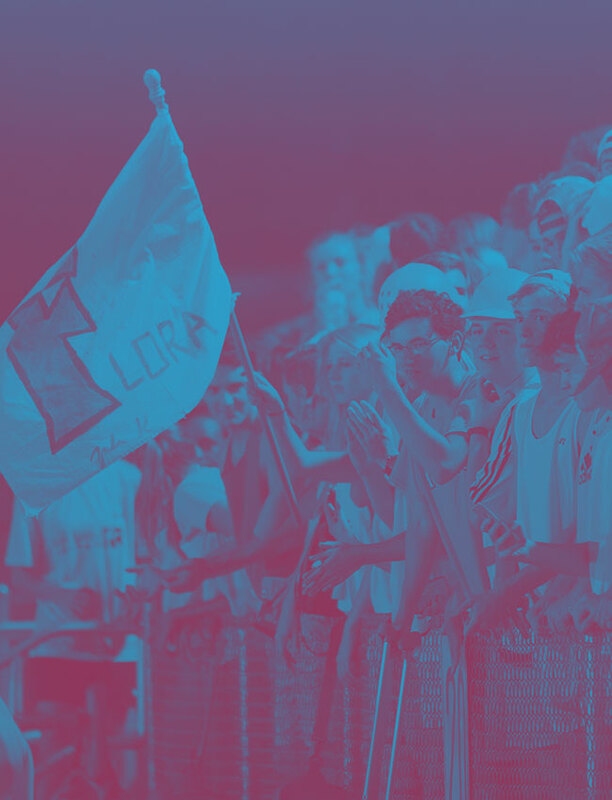 C3 is a known power school in the Lacrosse world. Flora has a few less years experience but has been coming on strong in recent years. It is almost akin to the juvenile lion challenging the king of the pride. 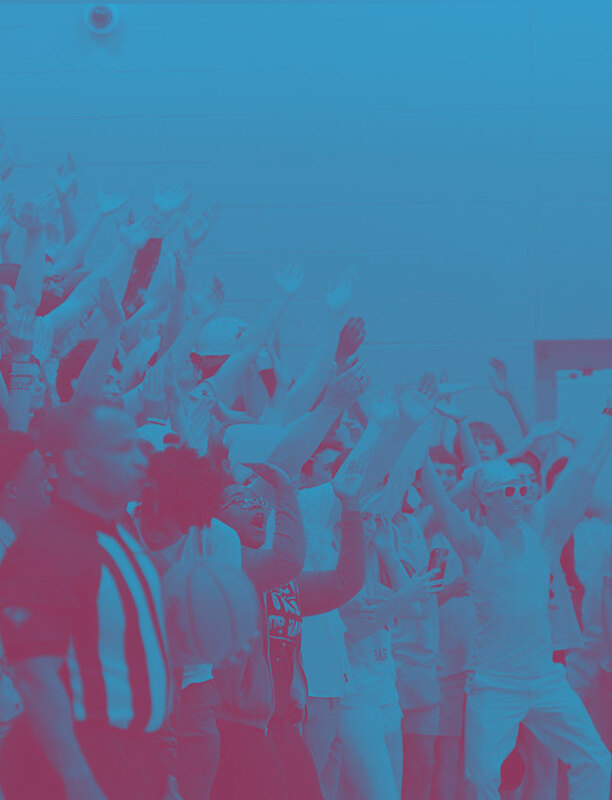 The Coaches had their say, the players looked eager, and the large crowd of Flora Faithful were sitting on the edge of their seats for this one. And to top it off, it was Senior Night for Your Falcons. This had all the makings of a colossal confrontation. You hate to say that when your opponent has “Christ” in their name but this is big time high school lacrosse. The sticks slapped violently at 6:11 p.m. and it was on. First Quarter: The game began with both sides sizing each other up. Good offensive maneuvering but better defense prevailed. C3 #20 broke the logjam with the first score of the game at the 10:33 mark. However, the crowd sensed that Your Falcon Defense was angry and aggressive from the start. The cacophony of stick slapping started from the first faceoff and continued throughout the night. As your Falcons so often do, the offense gets angry when they appear down on the scoreboard and will answer. Dr. JT Irvin finds the net to tie the score at 7:19 in the First. Hedgepath would add another with 5:36 on the clock. King would supply assists to both those scores. C3 #14 would tie the score at 3:39; that would be the last time C3 would get close on the scoreboard. Overbay quickly scored to take the lead. Overbay’s goal would put the Falcons ahead 3 to 2 at the close of the First. Second Quarter: C3 was greeted with more relentless defense in the Second; the Steel Curtain and Legion of Doom both showed up tonight. The relentless Defense was accompanied by some big time Offense; nice ball movement and patience. Dr. Irvin found the net for his second goal of Senior Night. Owens had a beautiful ground ball grab then a King interception. Koutrakus made some great stops to tear away any C3 optimism. After some great ball movement, King found the net at the 7:51 mark to give Your falcons a 3 goal lead. Crawford was demonstrating quality defensive aggressiveness which resulted in lacrosse ball larceny. Crawford’s Knock and Nab approach was incredibly effective. Riley even got in the smashing. Even Your Falcon Faithful showed some aggression towards the 3 refs in a no-call 45 second off sides. Flora Offense continued to look impressive. Dungan seemed to pick up a pointer from Crawford doing his own Knock and nab. King found the net to put Flora up by 4. Crawford and Pope were showing a lot of defensive aggression – seemed to be frustrating C3. Dr. Irvin put Flora up by 5 at the 1:26 mark. For the next minute and a half, Your Falcons would play aggressive on both sides of the field. Interesting to note for this lacrosse novice: a defender can rip the helmet off King and get a 30 second penalty but if the defender were just to hit him in the helmet, the defender would get a 1 minute penalty. Who knew? We closed the Second up 7 to 2. Third Quarter: Halftime entertainment was the singing of Happy Birthday and flower presentation to Lorien Owens by the JVs and B Team. Flora Lacrosse responds well to birthdays. Defense started the Third strong again with a big hit by the Sequoia, Pope. Giles joined in with some aggressiveness. More hostile defense by Giles and Pope was too much for the refs to stand – they sent our 2 warriors to the sidelines for 30 seconds each. Koutrakus responded with 2 great saves to preserve the shutout while down 2 men. Pearson made some aggressive moves on C3 offense. The Flora Faithful again tried to educate the Refs on offsides to no avail. King then had enough; he would score 5 in the Third to put the game out of reach for C3. King would score in the upper corners as well as off worms in the ground. C3 did score twice in the Third; one off a long shot out of nowhere and the other a faceoff fast break. Good scores but difficult to defend. More great defensive physicality by Dungan, Giles, Pearson, and Pope. The Steel Curtain’s own Crawford would again dazzle on the faceoffs. Fourth Quarter: Where the Fourth lacked in offense scoring, it made up for it in offensive ball handling and relentless defense. Awesome thing about watching our offensive studs is their unselfishness; constantly passing and moving. That is the mark of a very good team. The Defense continued to be aggressive. Lanier was all over the offense as well as Mills. Great grabs by Lanier and Owens. It was basically unrelenting defensive pressure on C3 which absolutely shut them down offensively. Koutrakos played a great game as the keeper of our goal. Our offense was like a boa constrictor: passing the ball around the defense while gradually working the circle tighter towards the goal; squeezing the defense until they broke down. Final score at the OC, Falcons 12 and Christ Church Cavaliers 4. Goals and Defense: Four Falcons scored on this Senior Night. King would send his friends off in style by dedicating 7 goals to the seniors. Irvin would add 3 goals with Hedgepath and Overbay scoring as well. It was stunning to see the Falcon Defense being relentlessly aggressive all night; from the opening slap of the sticks to the final buzzer. The sound of stick slapping is so disruptive to opponents. Aggressive and (legal) Violence are keys to disruption. Assists: In unofficial tabulations, there were 7 team assists on the 12 goals; provided by King (3), Pope (2), Irvin (1), and Riley (1). Excellent ball handling all night. Shots: In unofficial tabulations, Flora totaled 37 shots on goal. You can’t score if you don’t shoot. Flora did an excellent job moving the ball around to find the open shots. The Boa Constrictor approach works wonders. Again, crisp passes with very few miscues. Overall, excellent ball movement. Ground balls: Unofficially, there were 12 Falcons (new record high?) who unofficially registered at least one ground ball. That is an even more awesome stat than last game. Your Falcons grabbed 37 ground balls for the game. Crawford (7), Overbay (5), Pope (5), and King (4) were the unofficial stat leaders. Hyper-aggressive playing is the way to get ground balls; we did that all night. A continuing promise: if I see it, I will write about it. We need more smash and grabs as well as steals and streaks with aggressive Knock and Nabs. Faceoff: The Falcons had another great night at face off. We won 13 and lost only 6. Crawford was the workhorse again with 11 wins while Overbay won 2. Overall a good win tonight in the sunshine on Senior Night. The Season is far from over so don’t get too emotional about these men. We have more mountains to climb and goals to reach. New season starts next week. All the records are out the window at this point – battle to see who is the last standing. We have had some hard fought games that have prepared us for the playoffs. We cannot take anyone lightly. Our success depends on our aggressiveness and team togetherness. We play as one. Let’s Rock the OC for these playoff games. Be the Disruptor; play with tenacity and passion.